It is grown and roast by Hawaii Coffee Company, one of the largest roasting companies in Hawaii. It has been in coffee business for a long time now. They have a several brands but now we are going to be focus in Ka’u coffee. Royal Hawaiian 100% Ka’u has a smooth delicate flavor with low acidity that’s approved and endorsed by world-renowned Chef Alan Wong. Discover why this coffee has won so many awards and generated so much interest in the past few years! What is a medium roast? Medium roast coffees have a well-balanced flavor, aroma and acidity. Neither too soft nor too strong, they’re perfect for the in-between tastes. Medium Roast is the most popular roast and is often called American Roast, Regular Roast or City Roast. With a bit more caffeine than a dark roast, it’s a perfect afternoon coffee. With this roast type you can taste and feel all the coffee attributes and aromas. For me the darkest roast take a lot of the real flavor from your coffee. It has the perfect balance to enjoy it. He is a chef and restaurateur known as one of 12 co-founders (along with Sam Choy, Roy Yamaguchi, Peter Merriman, Bev Gannon and more) of Hawaii Regional Cuisine. They came together to form an organization to create a new American regional cuisine, highlighting Hawaii’s locally grown ingredients and diverse ethnic styles. In 1992, they all came together and compiled a cookbook, The New Cuisine of Hawaii to be sold for charity. Wong and Choy are alumni of the Kapiolani Community College Culinary Arts program. Wong has several restaurants in Hawaii, as well as one in Japan. (from Wikipedia). He is an expert chef for a long time, and He knows about food and coffee. If he drinks you need at least to try it, you won’t regret. Now lets talk about Ka’u Coffee. Kona coffee is the market name for coffee (Coffea arabica) cultivated on the slopes of Hualalai and Mauna Loa in the North and South Kona Districts of the Big Island of Hawaii. It is one of the most expensive coffees in the world. Only coffee from the Kona Districts can be described as “Kona”. The weather of sunny mornings, cloud or rain in the afternoon, little wind, and mild nights combined with porous, mineral-rich volcanic soil create favorable coffee growing conditions. Kau coffee is grown really close but not in the kona district, but it has all the benefits from the weather, rain and micro climate from the region. The volcanic soil is rich in nutrients and give to these coffees region a distinct taste, aroma and flavors. We were drinking the kona coffee and tried this to see if we liked it. This coffee is a bit lighter and I just love the flavor. Just reordered more! by Jane. It was so good, I skipped desert to drink more of it, and as soon as I got home I placed an order for more on line by Eddie. One of the smoothest coffees I have ever tasted. I love to drink it on the weekend! by Ryan. For those coffee lovers that really enjoy a great cup of coffee, but not just coffee but a coffee full with passion, love and tradition, well this coffee it is right for you. They ship anywhere in the world, this is very good and you need to check the shipping policy. Lock in your pricing. You will enjoy the pricing you select for the duration of your subscription, regardless of future price increases. This is really great. Discounted rate on your coffee. The subscription prices are about 10% less than the regular single-order rate for our coffees or teas. Automatically get your coffee when you need it. Ensure you receive your coffee regularly, just in time and just when you need it by selecting the right frequency for you. Cancel at any time. If you find the program isn’t working for you, you can cancel by logging into your account and selecting to cancel button on the item(s) you wish to stop receiving. For the price you’re paying you will get a really great product is a premium coffee. Enjoy it. If you have any question or want to share your experience please leave a comment. thank you fo rthis great review. You have really brought it to life and I can almost smell it through the screen of my laptop. I am going to go and make a coffee right now! 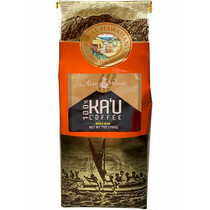 sadly it wont be KA’U’s medium roast which sounds absolutely delicious, I wil llook into ordering some online though. As an avid coffee drinker, I am a huge fan of this post! I just bought some Kona coffee and as you mentioned, I had to do it online. There are those rare occurrences where you can get some from specific shops, but it is hard. I had not heard of Alan Wong in terms of coffee, but love what he has done with restaurants and from what you have said he seems to have brought that passion and skill into the coffee world. I am going to go get a bag of the Ka-U coffee now as the $19.95 seems more than reasonable! Thank you so much, I’m not sure I have tasted this kau coffee before. I am optimistic that with your description it really going to be good. Flavour, taste……. I will try it out but in the meantime, aren’t all coffees the same? What made one so different from the other. I used to believe coffees irrespective of the clime it condition of growth all should have the same elements in them. So, how is the kau different from the others?? Hi Felix. I’m a fan of coffee. I love coffee but the brand I’m familiar with is Nescafe. For me, coffee have great taste and they make my day when I take them. Nice to know about Alan Wong. He’s a great chef indeed. I guess I would have to switch to this coffee. Btw, this article is so educative. I have tried Kona coffee before and it was really good – a bit more pricey than normal medium roast, but really good. Hi, As coffee addict, I really like your review. You know exactly what are we, as coffee lover looking for before we try new taste of great coffee. Thanks Felixc! I have seen this coffee for sale at several stores but have never tried it. I am constantly trying new coffees and after your review, I am really anxious to try this one. I’ve never tried coffee from Hawaii. I will definitely be picking some up in the future. Thank you! I am glad to see that you talked about Alan Wong in the article. When you get an understanding of the founder of a company, you better understand what goes into the product. I always like my coffee to be special. Volcanic coffee has a nice ring to it. I like the idea of drinking lava fueled coffee. It is a nice part about the brand. You cannot really find that elsewhere.